Sharing collections, resources and knowledge is what being a Museum is all about, so it was with great pride that the Museum of Carpet participated in its very first loan earlier in the year! 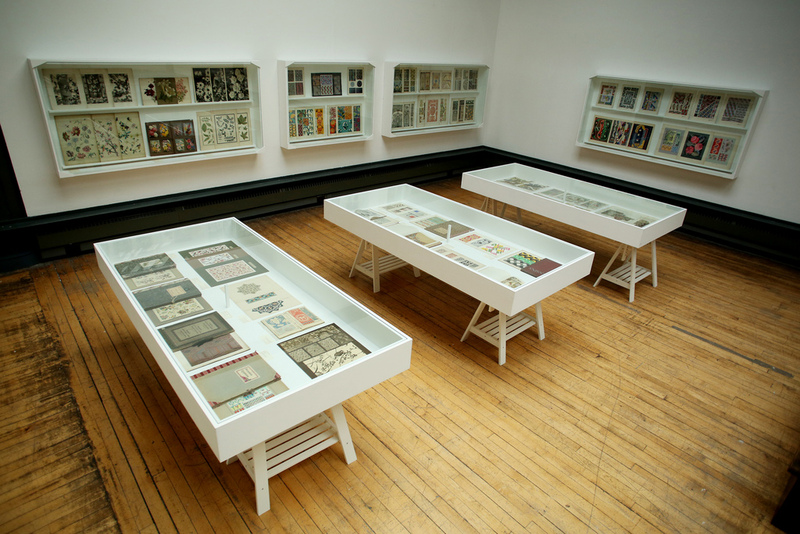 A number of items from the collections, including carpet samples, company brochures and trade leaflets were carefully packed and sent up to Scotland to become part of the ‘Interwoven Connections’ exhibition currently on display at Glasgow School of Art. 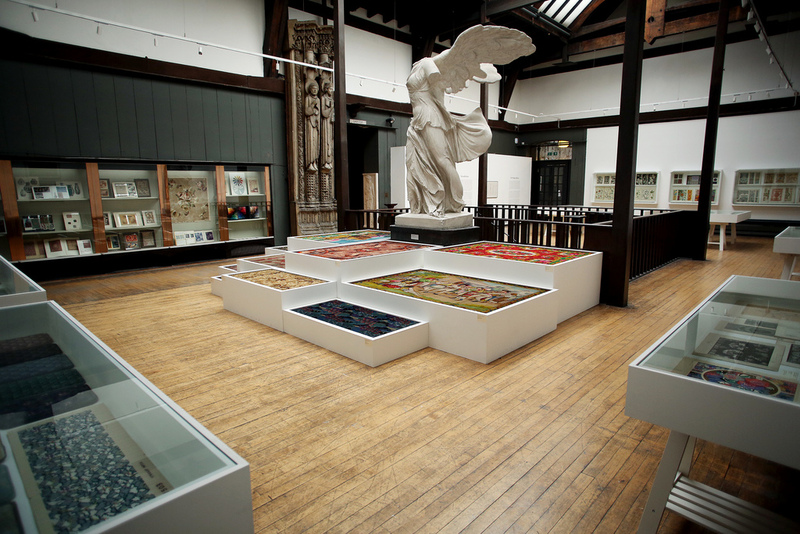 Curated by Helena Britt, ‘Interwoven Connections’ explores the history of two of Scotland’s most prominent carpet manufacturing companies, Stoddard and Templeton, focusing specifically on the vast design library the companies shared and the studios in which their designers worked. The Design Library is an incredible resource containing a rich assortment of visual materials used by the companies designers in order to inspire and assist the design process. Using original designs, folios, samples and pattern books, the exhibition documents the creative process from initial design through to woven sample, providing a unique glimpse into the contents of the Design Library and offering insight into the design process, the studios and the designers themselves. Click here to see Helena Britt give an introduction to the exhibition and the Stoddard Templeton Design Library. The exhibition runs until the 11th January 2014 and is open daily from 11am to 5pm (4pm on Sundays). Previous Weaving the Town: credit where it is due!